I&apos;m so excited !! 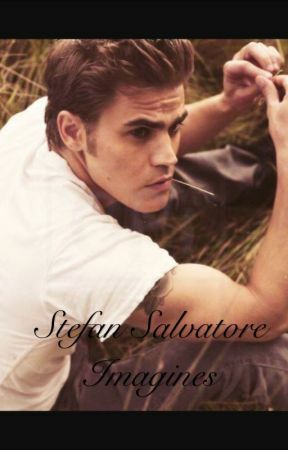 Today it the day that I&apos;m going to tell Stefan I love him... I&apos;m kinda nervous being honest here. I was taken out of my thoughts when my door bell rung. I ran as fast as I could and opened the door. Seeing Stefan there made me want to tell him right there and then. I pulled him inside and closed the door and smiled up at him "hey "
I look down nervous wondering what he&apos;s going to say. He took a deep breath "Y/n... We&apos;ve been together for a while and my feelings for you I can admit they have gotten stronger... And it&apos;s scaring me because I feel you don&apos;t feel the same way.... Y/n i-i love you....." I look into his eyes and smile "Stef? Tell me why.. I was actually going to say those 3 words to you today to..." I say smiling he looked at me his eyes wide "Stefan I love you... I love you so much"
he grabbed my face and pulled me into a kiss I kissed back smiling into the kiss . I pull away slightly and look at him he had the biggest smile I&apos;ve ever seen on his face.. In that moment I knew I would do anything for him... I would love him... Forever.